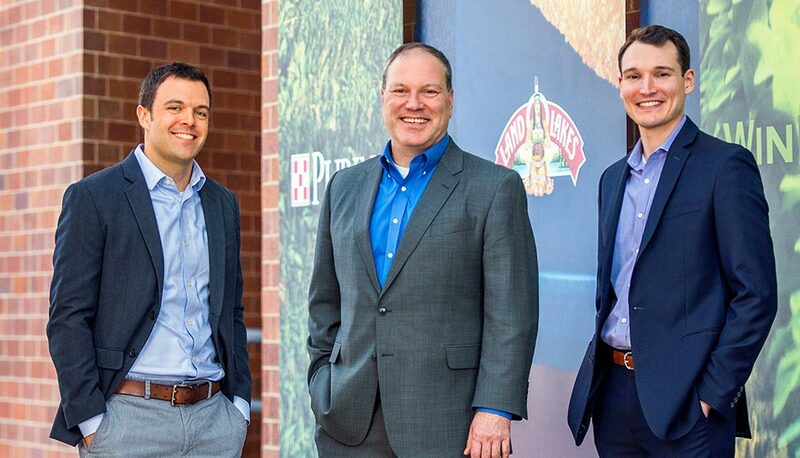 FROM LEFT: FM Global Account Engineer Alex Lundy, Land O' Lakes Insurance Manager Brad Koland and FM Global Account Manager Steve Streeter are key to the success of Land O' Lakes’ risk management program. The year is 2016. Food and agriculture co-op Land O'Lakes just experienced a multimillion-dollar flood loss at its Midwest dairy plant, resulting in a three-month shutdown and loss of production. Fast-forward to 2017 and a nearly identical event leaves the facility practically unscathed. What 2016 discoveries resulted in a quick loss recovery, one year later? Sometimes, seeing truly is believing. 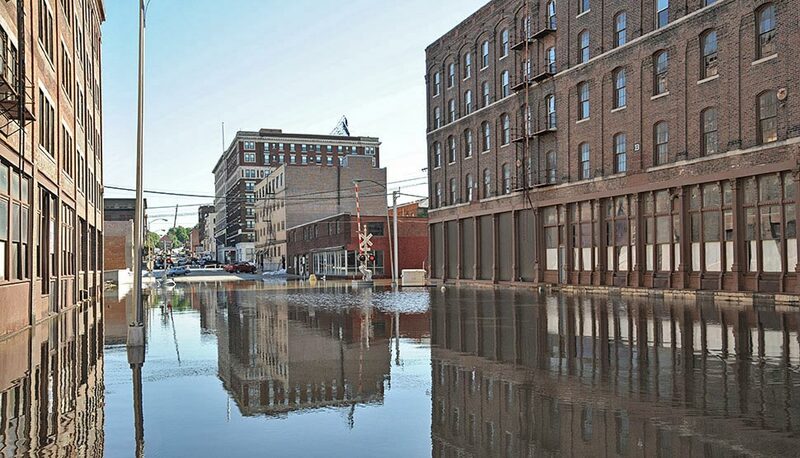 Land O'Lakes Insurance Manager Brad Koland knew that more stringent flood protection measures were needed after witnessing surging floodwaters cause US$2.7 million in damage to his company's dairy plant in Hillsboro, Wisconsin, USA, in September 2016. 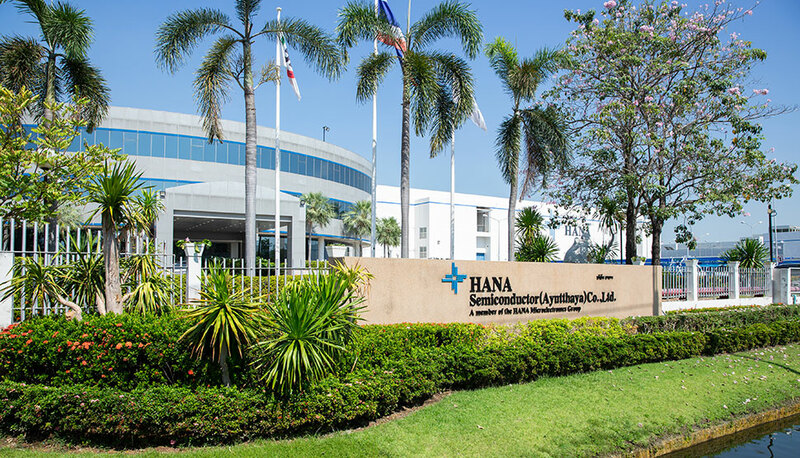 But first, he and his engineering and operations partners needed a stronger corporate commitment to move forward. To help in that area, they advocated for the capital needed to combat the risk and prevent a recurrence in Hillsboro. They also enlisted the expertise of FM Global Account Manager Steve Streeter and Account Engineer Alex Lundy, who suggested that a tour of the FM Global Research Campus was an essential first step. Once there, Land O'Lakes decision-makers would see that the mitigation costs required to withstand a flood would be minimal compared with the losses it may continue to incur. "I had visited the Research Campus before and was confident that when my colleagues observed FM Global's engineering principles and FM Approved products firsthand they would be inspired to better protect our Hillsboro site," says Koland. He has overseen Land O'Lakes' commercial insurance program and first-party claims for three years. Perched on the west branch of the fickle Baraboo River, the 28,000-square-foot (2,600-square-meter) Hillsboro facility is one of the newest additions to the nearly 300 Land O'Lakes properties under Koland's risk management guidance. Land O'Lakes acquired the plant in early 2016 and had FM Global conduct a plan review before expanding the site. FM Global identified some considerations for improvement, including raising the finished floor level of the proposed expansion. Land O'Lakes incorporated many of the loss recommendations into the expansion design, but was not able to address issues in the existing facility before the flood struck. 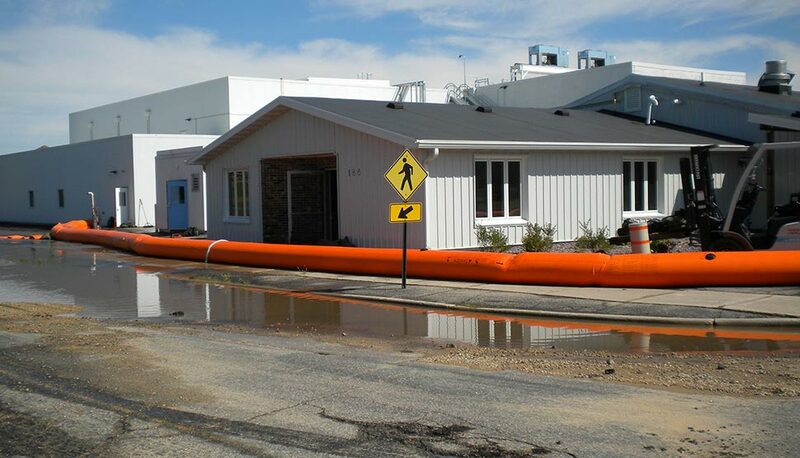 When Koland and his dairy division colleagues visited the Research Campus in October 2016, they learned of several proactive steps in the Natural Hazards Laboratory that could help reduce their risk of potential flood damage and business interruption—chiefly, the importance of installing waterproof barriers. The Land O'Lakes contingent saw that to flood-proof a regular 4-foot (1.2-meter) door would require piling up 250 50-pound (23-kilogram) sandbags, and a lot of heavy lifting. And, after the storm, the bags would be unsanitary and difficult to take away. To combat this, the group's tour guide demonstrated several FM Approved flood product alternatives, which included aqua barriers, flood planks and one rapid-deployment approach that particularly resonated with Land O'Lakes—the Tiger Dam system. Tiger Dams are elongated flexible tubes that can be quickly stacked, joined end-to-end and filled with water. The tubes can be piled up to 32 feet (9.7 meters) high and linked together for a considerable distance. These interlocking, flexible tubes are then drained of water that flows back into the river when the flooding subsides. 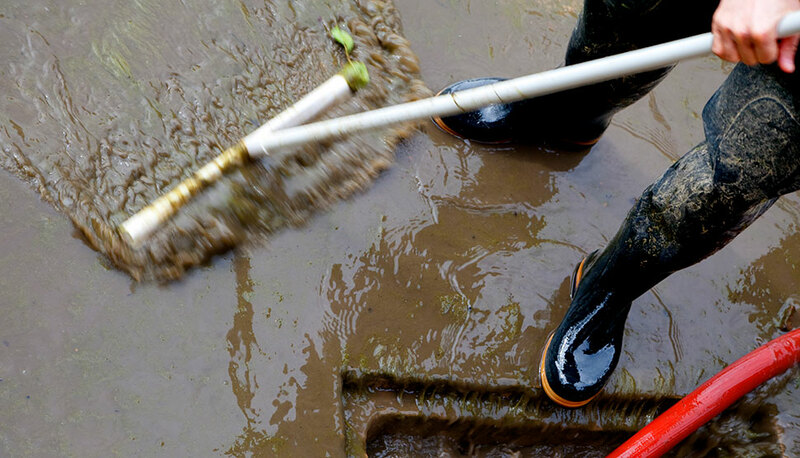 The result is a reusable system that protects property without the need for sandbags. 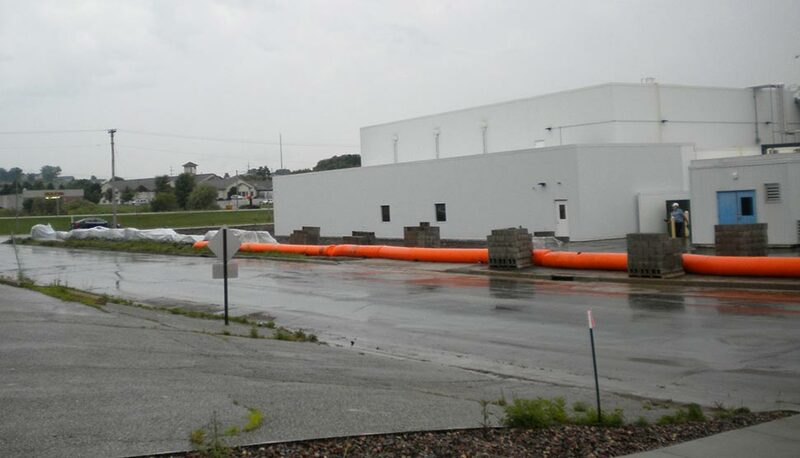 When the floodwaters recede, the tubes can be drained within minutes, cleaned, rolled up and reused again and again. Koland points to the sandbag demonstration as his group's collective "aha!" moment. "Seeing the difference between a sandbag dam versus one of the quick-implementation opportunities certainly struck a chord with us." After all the other visitors had left the Research Campus, Koland and his team stayed behind to take pictures and inquire further about FM Approved flood products. Soon after, he sent the Hillsboro facility manager the photos and asked him to purchase several Tiger Dams to help protect against future flooding. "Seeing the differences between a sandbag dam versus one of the quick-implementation opportunities certainly struck a chord with us." Fatefully, in July 2017, the Hillsboro plant experienced another unexpected flood. This time, however, thanks to having the Tiger Dams on hand, along with several other precautionary measures in place, the facility was spared any major damage. Koland shares that the 2016 event taught Land O'Lakes just how complex a flood can be. And, as a result, the company used those findings to lessen the impact this time around. "Once the surging floodwaters approached, the Tiger Dams ended up diverting the water to the back of our facility, where there's an abandoned airfield." In all, the total dollar cost of the second flood was nearly US$500,000, and the plant was back in production in a few weeks. Koland points out that the damage would have been even less if not for backflow issues through the storm sewers that allowed some of the water to get into the loading dock. "That discovery helped us modify the issue, and we've since created a temporary barrier around the facility." Land O'Lakes' senior management team now has a deeper desire to lessen its exposures and reduce vulnerable areas in Hillsboro. Koland is working with them to determine the best way to invest the company's tight risk mitigation capital. The company is also talking with the state of Wisconsin to determine if the current dam within the Baraboo should be rebuilt to modern standards. Additionally, Land O'Lakes is exploring the construction of a permanent waist-high wall dam with secure openings to be built around the entire Hillsboro site. Land O' Lakes employed Tiger Dams to hold floodwater back from its Hillsboro, Wisconsin, USA, dairy facility. Tiger Dams are elongated flexible tubes that can be quickly stacked, joined end-to-end and filled with water. Koland acknowledges that effective risk management is based on building fruitful relationships like the one he shares with FM Global's client service team. "Without Steve and Alex, we would not be as successful in protecting our operating facilities. They do a fantastic job of making sure that their engineers and inspectors understand what is important to our organization. 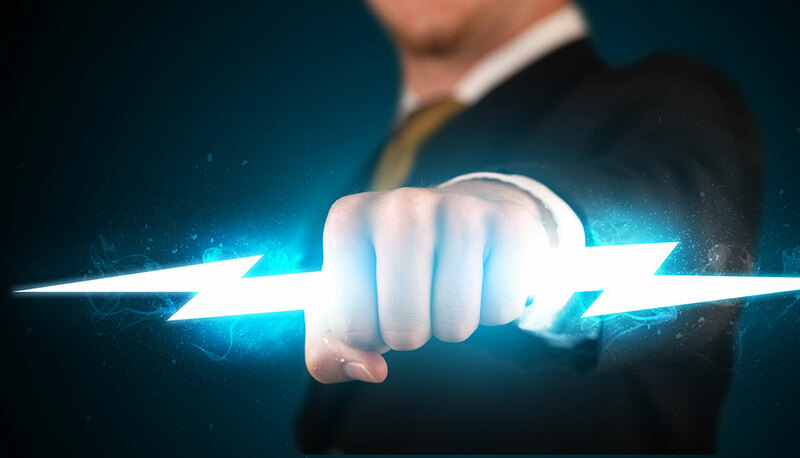 I appreciate their perspective and their holistic view of our risk." Lundy echoes the sentiment about working with Koland. "Brad has done an exceptional job getting key parties in his organization involved in risk improvement efforts. He truly 'gets it,' and we consider him an extension of the client service team." When Koland first took on his role, he told Streeter and Lundy that his objective was to influence Land O'Lakes facility managers to adopt FM Global's risk philosophy that the majority of loss is preventable. And Streeter is confident that Koland will continue to do so. "If there's anyone who can best promote the value of adopting sound risk mitigation methods, it's Brad. His engineering background and his desire to continuously improve the safety and protection of Land O'Lakes' facilities are a step in the right direction." In the end, Land O'Lakes' commitment to working with FM Global meant that it could recover quickly and take meaningful measures to lessen the chance of significant damage at its Hillsboro site in the future—a win-win for both companies.